President Donald Trump’s Russia problems have multiplied with recent reports that his son, Donald Trump Jr., met with a Kremlin-linked Russian lawyer during the 2016 presidential campaign after he was promised damaging information on Hillary Clinton and told that this information was “part of a Russian government effort” to help his father in winning the presidency. These revelations are the clearest indication yet of possible collusion between the Trump campaign and Russian efforts to interfere in the election. The meeting took place at Trump Tower in New York on June 9, 2016. Initial reports were that the meeting included Trump Jr., the president’s son-in-law Jared Kushner, Trump campaign chairman Paul Manafort, and the Russian lawyer, Natalia (or Natalya) Veselnitskaya (Наталия [or Наталья] Весельницкая). It was later learned that the meeting also included Russian American lobbyist Rinat Akhmetshin (Ринат Ахметшин), thought to be a former Soviet intelligence agent; Russian American translator Anatoli Samochornov (Анатолий Самочернов), who has previously worked with Veselnitskaya; and Irakly “Ike” Kaveladze (Ираклий Кавеладзе), a U.S. citizen born in the former Soviet Republic of Georgia. The meeting was arranged by publicist Rob Goldstone at the request of his client, Azerbaijani-Russian pop star and businessman Emin Agalarov (Эмин Агаларов). Trump Sr. previously met Emin and his father Aras Agalarov (Араз Агаларов) at the 2013 Miss USA pageant in Las Vegas and Miss Universe pageant in Moscow, both owned by Trump, and in which Goldstone was also involved. A Russian blogger posted numerous photos of Trump, Goldstone, and the Agalarovs meeting in Las Vegas. Goldstone is also thought to have been present at the June 2016 meeting in Trump Tower. Aras and Emin Agalarov are respectively the president and first vice-president of Crocus Group (Крокус Групп), a real estate and property development company based in Moscow. Irakli Kaveladze is identified as a vice-president of “Crocus International” (Крокус Интернэшнл) residing in the United States, and was a subject in a 2000 U.S. government investigation into Russian money laundering in the United States. Sometimes called the “Trump of Russia” and frequently described as a “Russian oligarch,” Aras Agalarov is one of the wealthiest men in Russia and a close associate of Russian President Vladimir Putin. In 2013 he was awarded the prestigious Order of Honor of the Russian Federation by Putin himself. Agalarov also owns a mansion in Alpine, New Jersey currently valued at just under $7 million, which he recently put up for sale. A former prosecutor, Veselnitskaya is currently listed as the “general director” or “managing partner” of a law firm in the Moscow suburbs called Kamerton Consulting (Камертон Консалтин), founded in 2003 by Veselnitskaya and her husband (or ex-husband) Alexander Mitusov (Александр Митусов). A former Moscow Region deputy chief prosecutor and deputy minister of transport, Mitusov is now vice-president of corporate and legal affairs for SG-Trans (СГ-транс), a leading provider of transportation services for petroleum and gas products throughout Russia and the former republics of the Soviet Union. Veselnitskaya’s business in the United States stems from her attorney-client relationship with Russian businessman Denis Katsyv (Денис Кацыв) and his father Petr (or Pyotr) Katsyv (Петр Кацыв), who as Moscow Region minister of transport was the direct superior of Veselnitskaya’s husband Alexander Mitusov. In 2013, Denis Katsyv and his company, Cyprus-based Prevezon Holdings Ltd., were accused of money laundering in the United States in connection with the U.S. Magnitsky Act, enacted in 2012 to counter Russian corruption and human rights abuse. A case was filed against Prevezon in September 2013 by then-U.S. Attorney Preet Bharara for the Southern District of New York. Veselnitskaya is also a close associate of Yury Chayka (or Yuri Chaika; Юрий Чайка), the Putin-appointed Prosecutor General of the Russian Federation (roughly equivalent to the U.S. Attorney General), noted with Veselnitskaya in Russian media for his opposition to the Magnitsky Act. Chayka seems to play a far more political and ideological role in Russia than his title would suggest. In addition to opposing the Magnitsky Act, he accused the pro-democracy opposition group Open Russia (Открытая Россия) of being a front organization for the U.S. State Department. Veselnitskaya confirmed to The Wall Street Journal that she has been in regular contact with Chayka on matters related to the Magnitsky Act. A 2015 documentary in Russian and English by the Anti-Corruption Foundation (Фонд борьбы с коррупцией) details corruption and abuse of power by Chayka, his family, and their associates throughout the Russian prosecutorate, including ties to Russian organized crime. Following release of the documentary, Aras Agalarov publicly defended Chayka in an op-ed to the Russian newspaper Kommersant. Russian opposition leader and founder of the Anti-Corruption Foundation Alexei Navalny (Алексей Навальный) criticized Agalarov’s defense of Chayka, noting Agalarov’s own corrupt practices and ties to the Putin regime. Veselnitskaya is also connected to Agalarov through her Moscow Region legal practice. Rob Goldstone’s emails to Donald Trump Jr. initiating the meeting with Veselnitskaya named the “Crown prosecutor of Russia” as the source of the damaging information on Hillary Clinton that the Trump campaign would receive through Veselnitskaya. Since there is no such title as “Crown prosecutor” in Russia, it is believed that Goldstone was referring to Prosecutor General Yury Chayka. Chayka’s office has denied any involvement in the meeting. Veselnitskaya and Denis Katsyv are also linked to Russian American lobbyist Rinat Akhmetshin and translator Anatoli Samochornov through their collaboration in lobbying against the Magnitsky Act with a group called the “Human Rights Accountability Global Initiative Foundation” (HRAGIF). Akhmetshin has been called a Russian “gun for hire” in Washington’s lobbying world, and HRAGIF has been the subject of complaints for likely violations of the U.S. Foreign Agents Registration Act (FARA) over its unregistered work on behalf of Russian interests. Casting further suspicion on the Trump administration for its Russian ties is the dismissal in May of the federal money-laundering case against Denis Katsyv and Prevezon Holdings, represented by Veselnitskaya. As noted, the case was formerly handled by U.S. Attorney Preet Bharara, who was fired by Trump in March. In May his Trump-appointed successor abruptly settled the $230 million case with Prevezon for only $5.9 million and no admission of guilt just two days before the case was scheduled to go to trial. On July 12 following reports on Trump Jr.’s meeting with Veselnitskaya, Democrats on the House Judiciary Committee sent a letter to Attorney General Jeff Sessions to “demand answers” on the settlement. Veselnitskaya denies any connections with the Russian government, and told NBC News that she neither had nor offered damaging information on Clinton to Donald Trump Jr. or others associated with the Trump campaign. Rather, she said, it was Trump Jr. and associates who solicited information from her. She added that she knows Emin Agalarov took part in arranging the meeting, but denied ever meeting him in person. For its part, the Kremlin claimed to have “no information” on Veselnitskaya nor knowledge of who she is. The Agalarovs have also denied any involvement in Russian efforts to influence the U.S. election. 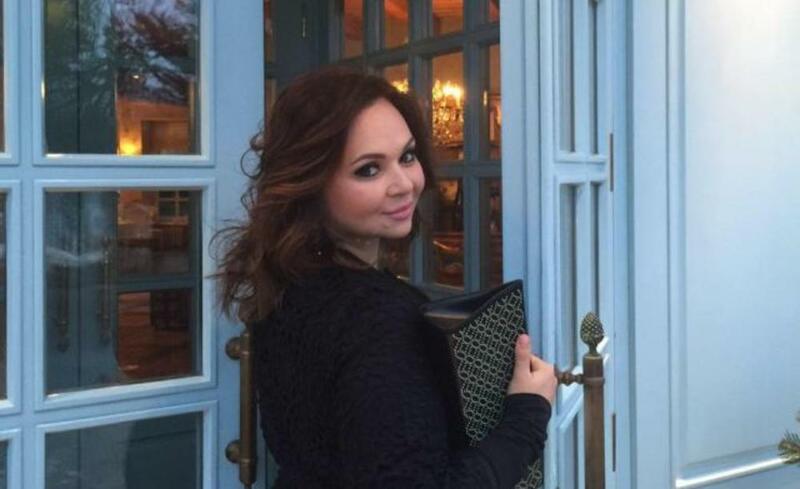 The Agalarovs’ U.S. attorney, Scott Balber, told CNN that Veselnitskaya previously worked for the Agalarovs in her capacity as a Moscow-area real estate lawyer. Balber’s previous clients include Donald Trump and Russian uranium company Tenex in a 2015 case involving violation of the U.S. Foreign Corrupt Practices Act. Rob Goldstone has also hired a lawyer, Bob Gage, “to handle Russia-related inquiries.” Donald Trump Jr.’s lawyer, Alan Futerfas, is being paid from Trump Sr.’s campaign fund.